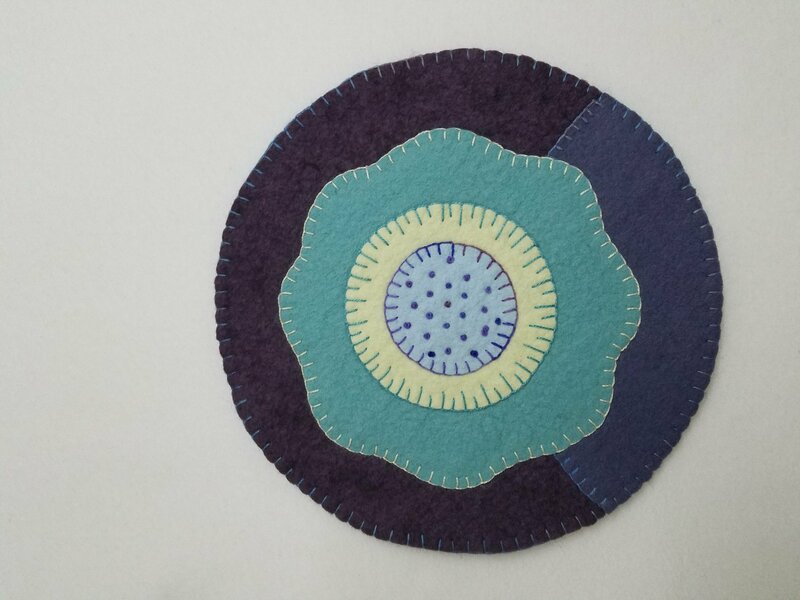 This is a perfect class for a beginner or someone who would like a refresher on wool applique. We will learn about motifs, tools of the trade, and two easy standard stitches used in hand embroidery. This project is done using all felt and we will go over the difference between felt and wool in class. Nothing overwhelming just some fun and friendship building. Class fee of $35 includes pattern and kit. There will be a supply list at the shop with additional items needed for the class. Think spring while stitching your flower! We’ll have additional wool classes teaching new stitches in upcoming months. Class fee includes pattern and kit.